Hello! How's everyone's CNY coming along? Mine was awesome! 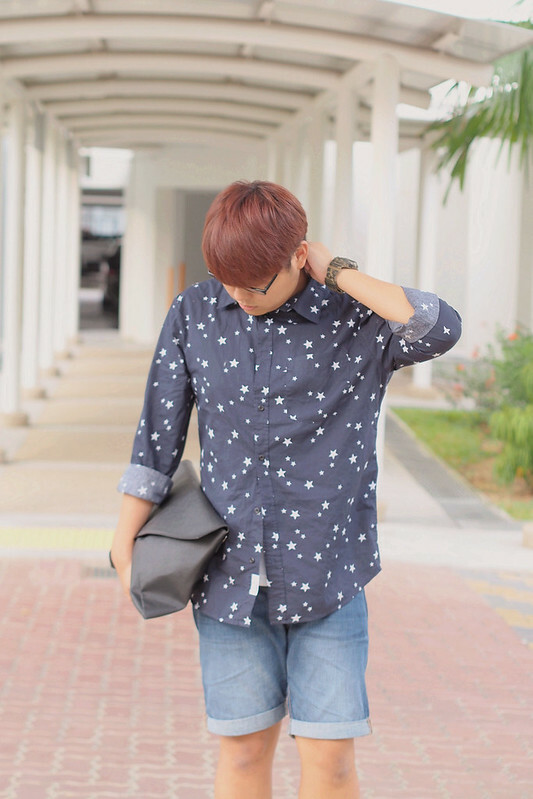 So i went for steamboat at my friend's house the other day and i wore my blue starry shirt that i bought from H&M. I rolled up the sleeves because i wanted to show a bit of skin. TIP: Not sure if it applies to everyone, but i personally feel that if you show a little bit of skin, you tend to look slimmer on camera. You guys can try it if you want. Hahah! Roll up your long sleeves instead of putting them as it is. And since the weather nowadays is extremely warm, i decided to pair it with a simple denim shorts also bought from H&M. 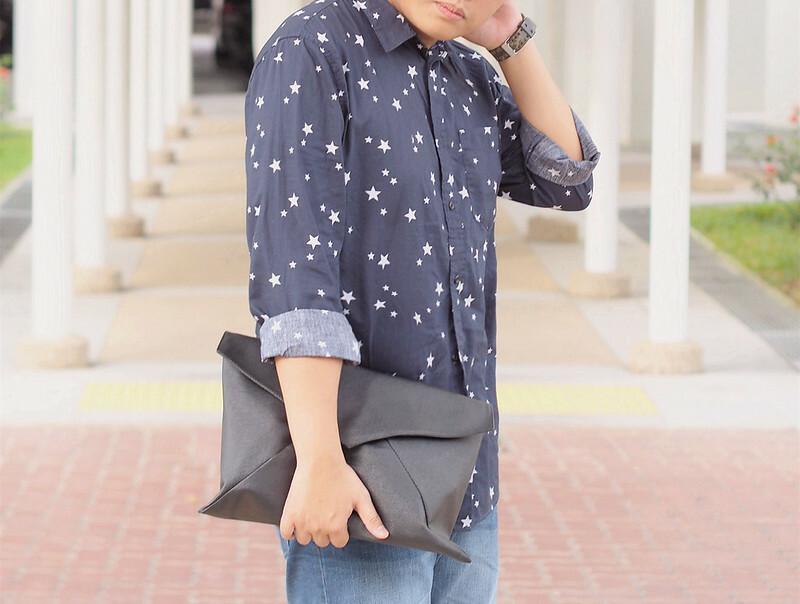 As i already have a printed top, i try to keep my accessories and bag the minimum. So i wore a camo printed watch from G-shock and a plain black clutch that i bought from Bugis Street. 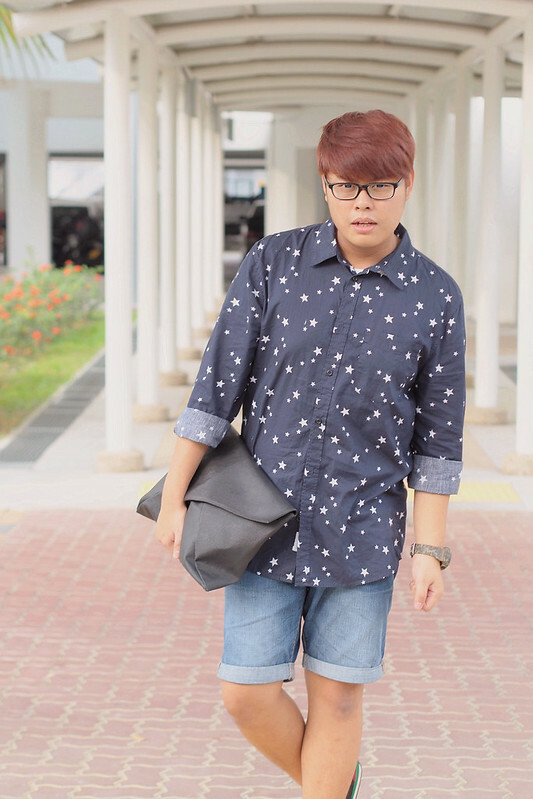 This outfit is pretty simple and i find that its suitable for gathering with friends and house visiting on Chinese New Year.